Pretend play is probably my favorite part of early childhood education because there are countless lessons hidden in every pretend play scenario. 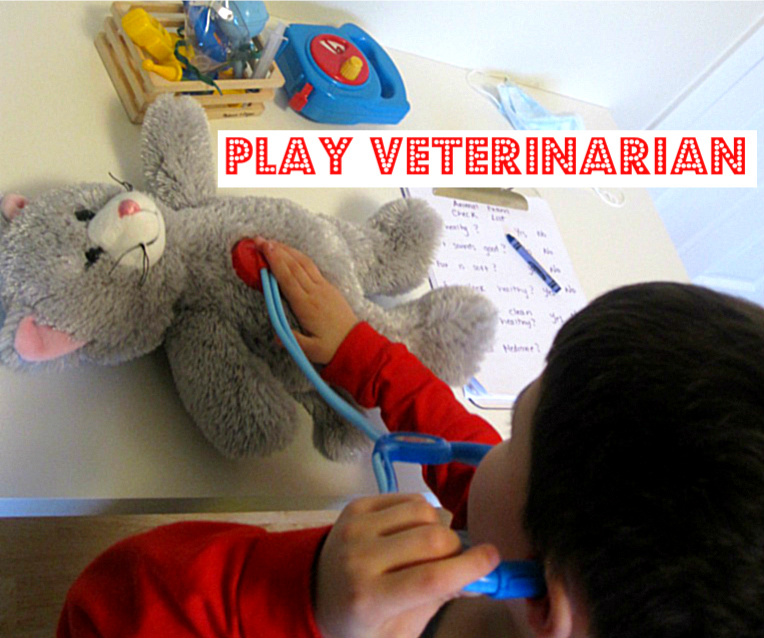 We turned our playroom into a vet clinic simply by mixing a few stuffed animals with our trusty doctor kit and rearranging the furniture. It was fast for me to set up and both kids enjoyed taking care of their animals. Along the way they learned about body parts, empathy and my son and I had a nice chat about prescriptions and why it’s important to only ever take medicine the doctor has specifically prescribed for you . Gather your materials. You will need some stuffed animals, a play doctor kit , some paper, a clip board, marker , and a bench or table to use as an exam table. 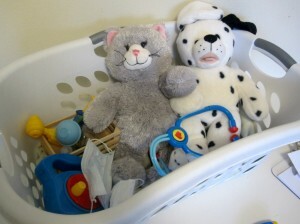 I added a basket for my daughter who wanted to tuck her patients into bed after she examined them. 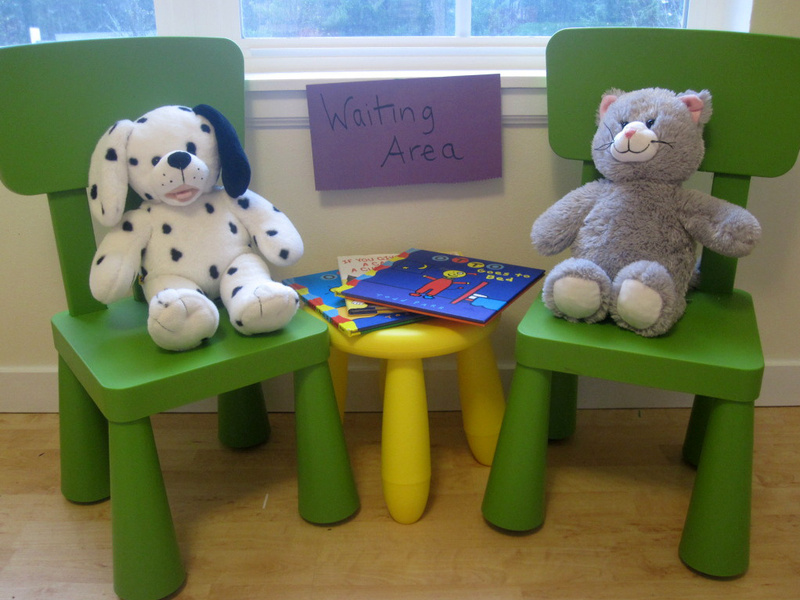 Set up a waiting area with furniture and books – our books were all about dogs and cats, you can check out our reviews after the tutorial. 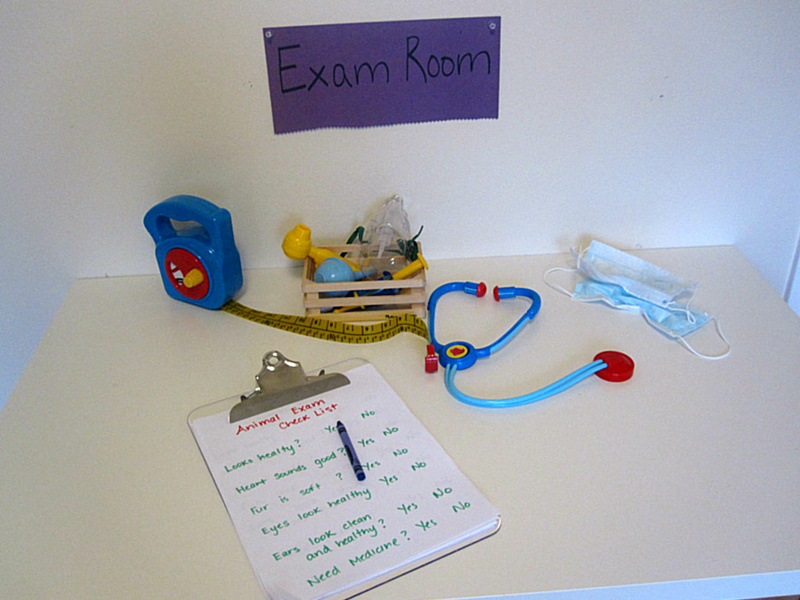 Set up an exam room. I labeled each area and encourage you to as well, it helps deepen the play as well as adds some reading to the activity. 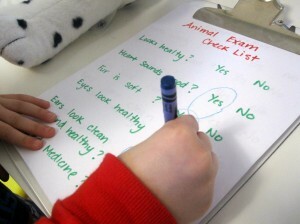 Make a check list for older kids who are reading and either have them write or circle answers. Can you tell I did this in a hurry? It was almost time to get my son from school. Best thing is he didn’t care, as long as he could read it no need to be perfect! Play! 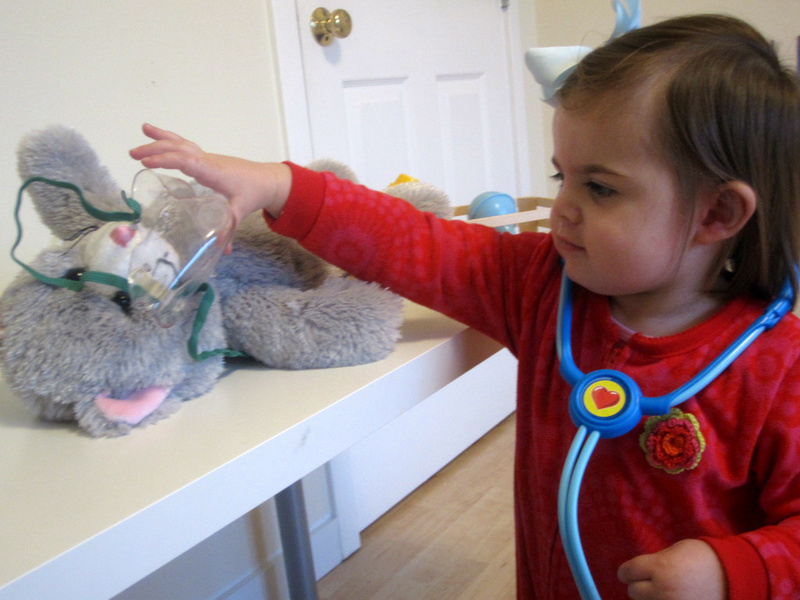 My daughter examined her cat trying out each instrument and having just had her own 18 month old check up she was familiar with many of them. I chatted with her as she played but didn’t intervene unless she interacted with me. I did pretend to nurse the cat as per her request. With my son I pretended to be the dog and cat’s owners but followed his lead. We worked in measurement and gave the pup a little oxygen. The puppy got a clean bill of health! 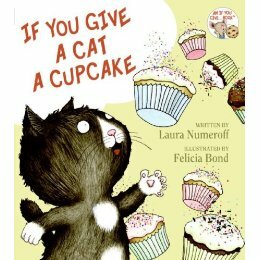 If You Give a Cat a Cupcake (If You Give… Books) by Laura Numeroff is one of the newer “If You Give”¦” series. I like this one , I mean any book with a cat in a bathing suit is worth a look. 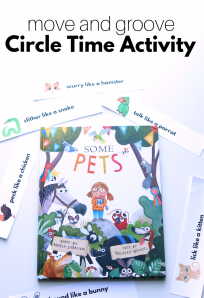 I am a big fan of these stories not only because they have just the right amount of text for young preschoolers, but also because the illustrations by Felicia Bond are so detailed you can spend ages talking about what your child sees in the book after the words are read. 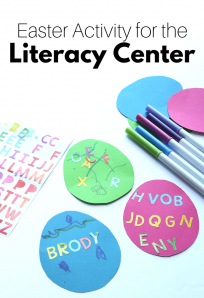 I love the cause and effect , and after a few readings your child will have fun telling you what”™s next. 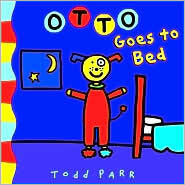 Otto Goes to Bed by Todd Parr is a really fun and positive book. Otto is a dog who doesn”™t want to go to bed, he wants to play, chase his tail and a bath and brushing teeth don”™t help. 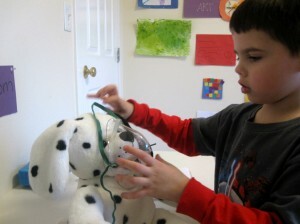 Instead he figures out that there is something he likes about bedtime, dreaming! I like that this book addresses that going to bed feels like missing out on things for kids, I know I felt like that for years. Instead of blankly saying “Sleeping is great” or “You have to go to bed” this book finds something positive about going to bed . The illustration of Otto as a super hero dog makes my son howl with laughter every time. 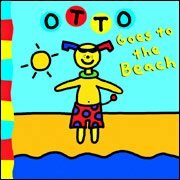 Otto Goes to the Beach by Todd Parr was a steal of a deal at the Goodwill ! I got a hardcover in perfect condition for 70 cents. My bargain hunting aside, I really enjoy this book as did my son. Otto is a dog who goes to the beach but no one wants to do the same things as he does, even the fish swim the other way! In the end after feeling very sad Otto finds a new friend and all his misery is forgotten. I love Todd Parr books, I love the insanely bright colors, the cute simplistic illustrations and I love the messages they send. This book followed his other books perfectly and provided a great final message about not giving up finding a friend who will like all the same things you do! Love the pictures! They both really enjoyed it. They did – we left it out for a few days writing different prescriptions for the cat! I’m showing this to my little guy right now. We were trying to decide how to spend our free morning. When did they get so big?! Great ideas Allie! 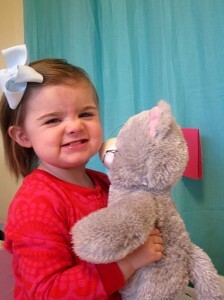 I know I do Kindergarten registration soon…what?! I love this. 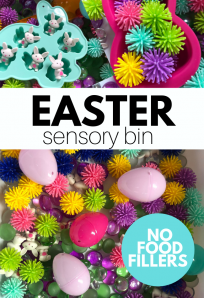 You are so great at playing with your kids. I typed up the list since my handwriting is not so wonderful. Can’t wait to play this today! Thanks for sharing and inspiring us to get down and play together with our kiddos. This is beautiful play! It really made me smile. I love that children can play real-life 🙂 Your children seemed to be having a lot of fun. 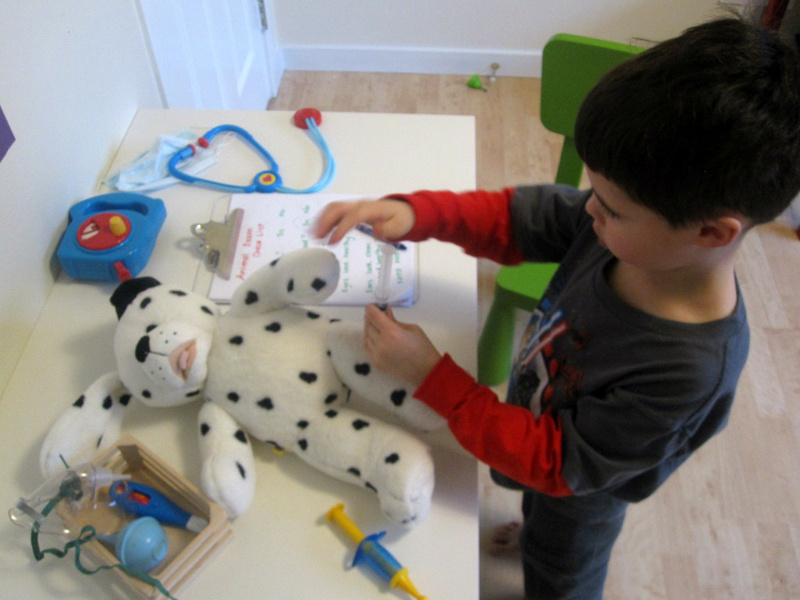 We have a similar doctor’s toy box and my son loves pretending he is helping sick people. He has learned the correct term for every instrument in the box and I think he really gets what it means to be a doctor. 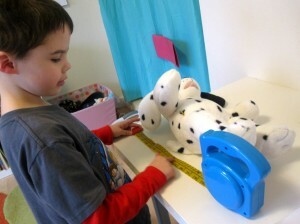 Pretend play can really be a learning tool at the same time. Love you photos! 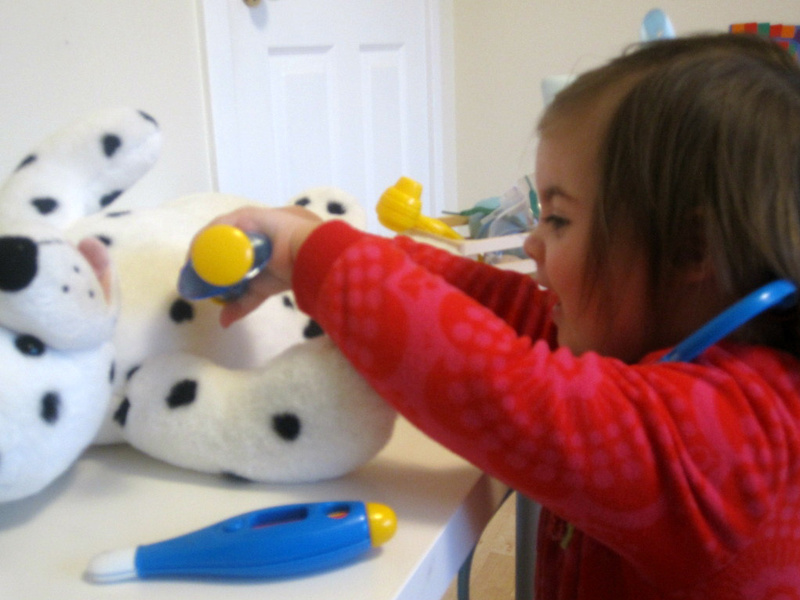 Isn’t it great how play is learning? ! This is my favorite part of being a parent getting to teach and play at the same time and watch my kids make those awesome connections. This is a great idea. We are going to do this tomorrow. Lily’s been to the vet with me twice now, I think she’ll love getting to be the doctor. Thanks. I love this idea, Allison! Since we don’t have pets I would never have thought to set up a vet clinic, but it’s the perfect analogy for visiting the doctor. I have a 16 month old who may just be old enough to get this, and I know her older sister will lead the way. I’m sure I’ll find a way to work this into our week! 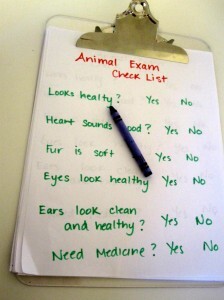 We are pet less too unless you count the local deer population! My 18 month old totally got it because the connection to doctors and she’d just been at her 18 month appointment. We had so much fun I hope you do too! I would love your feedback! Have a nice week!